The late filing of campaign disclosure statements denies voters and the general public of important information that should be current and readily available, especially in the months before an election. The Political Reform Act provides that campaign disclosure statements filed late are subject to fines, and the San Benito County Department of Elections enforces these fines. The San Benito County Department of Elections’ policy on fines and waivers is consistent with the Fair Political Practices Commission’s Guidelines for Imposing and Waiving Fines. In the case of an original statement or report which is filed late, the fine is $10 per day, starting the day after the filing deadline until the statement or report was filed; however, no liability shall exceed the cumulative amount stated in the late statement or report, or $100, whichever is greater. The fine is $10 per day, starting the day after the filing deadline, until the statement or report is filed. There is no provision in the Act for an extension of a filing deadline. The Elections Department has discretion on whether to assess a fine on a late statement if the filer requests in writing to waive or reduce the fine. The Elections Department has the authority to fully or partially waive a fine if the filing officer determines that the late filing was due to good cause. Filers are encouraged to file campaign statements electronically, eCampaign. Campaign statements filed by paper will be accepted if faxed, provided that the faxed copy of the campaign statement is the exact copy of the wet-signed, original version. The original version must be sent by first-class mail, guaranteed overnight delivery, or delivered personally within 24 hours of the applicable deadline. Form 470 Supplements, late contribution reports (Form 497), and late independent expenditure reports are not required to be mailed if the reports are faxed because these reports do not require signatures. 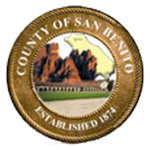 In order to obtain a partial or full waiver of a fine for a late filing, a filer must provide a timely written request to the San Benito County Department of Elections providing details which show good cause for why the statement is being filed late. A stricter standard may be applied to persons who filed late statements in prior years. inadequate or erroneous notification of their filing requirement.